Medina Creative Transitions celebrated the opening of its new eight-bedroom facility Wednesday with a reception attended by more than 50 members of the Brunswick community and city leaders. The building will be the new home to students in the Post Secondary Residential College program. The program offered by Medina Creative Housing, provides academic support, career and independent living skills to those with disabilities attending college. 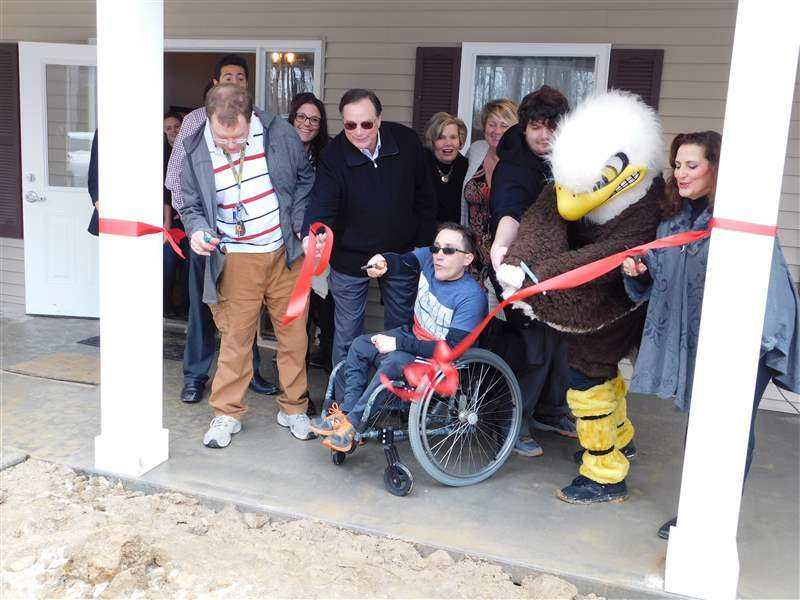 Medina Creative Housing CEO Dianne DePasquale-Hagerty said the new building, at 3897 Miller Drive, will help fill a void for individuals with disabilities who are pursuing higher education. “This is the first fraternity of individuals with disabilities who are coming together to pursue their dreams of higher education and employment and controlling their own destiny,” said DePasquale-Hagerty. PAYMENT MUST BE RECEIVED BEFORE YOUR ORDER WILL BE PROCESSED. You may pay online through Direct Bank Transfer or PayPal or with Cash upon pick up. Thank you for your business and for supporting Medina Creative Housing and its programs.